Director of Impact Timberland Investments – Anders joined IWC in 2010 and is heading the Impact Timberland Investments team responsible for developing IWC’s direct impact investment mandates. Anders is also responsible for the direct timberland investment mandates in Europe and emerging markets. This includes the role as Fund Manager in the Capricorn Forest Fund. 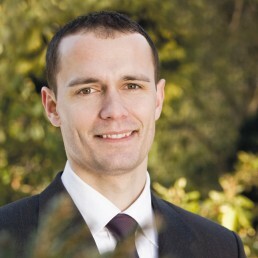 Anders holds a Master of Forestry from the University of Copenhagen and a subsequent business administration degree (HD 1) from Copenhagen Business School. Prior to joining IWC, Anders lived and worked in Brazil for 5 years building up a large scale wood processing operation in Southern Brazil and Uruguay focused on exports of FSC certified wood products to the Asian markets.